See your murals on the big screen. 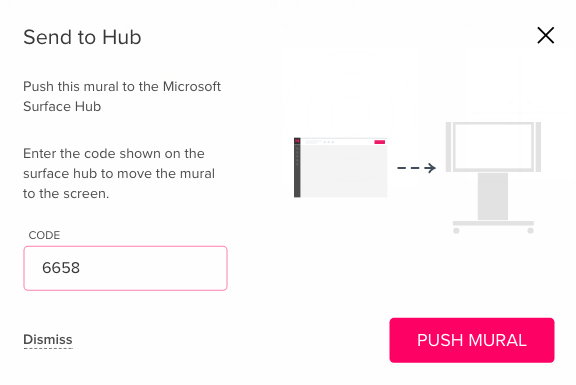 In order to open existing murals on the hub created on another device, you should use the 'Send to Hub' option. 2. A popup will appear asking you to enter the numbers you see on the Hub's dashboard screen. 3. 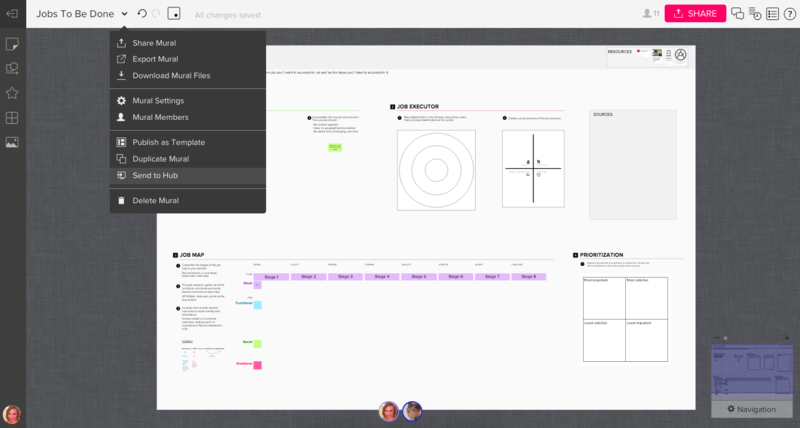 Enter the number found on the Surface Hub dashboard screen and start collaborating!